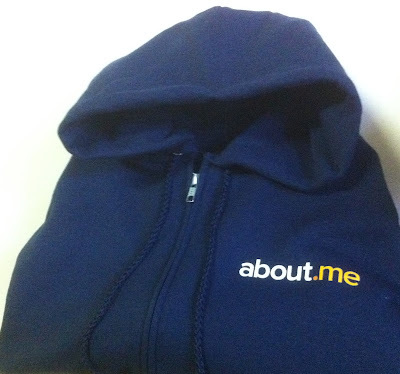 About.me allows users to display their contents from external social media websites such as Twitter, Facebook, and so on. The vulnerability that I detected was in the program that displays Github contents. An attacker would have needed to create a Github repository with a simple XSS vector in its description and to import his Github account into his about.me profile. 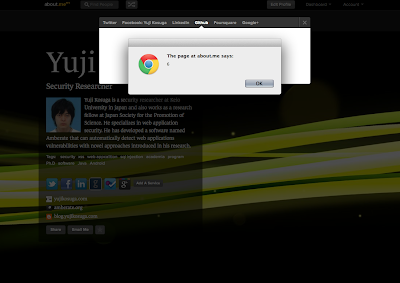 Subsequently, if a visitor had clicked on the button to the attacker's Github repositories, the XSS vector would have been activated. After I reported the vulnerability, they fixed it quickly and sent me the hoodie jacket shown in the picture on the left. I have also found similar vulnerabilities in many other websites; some of them are not fixed yet.